After a sold-out 2018 #RadLivin is back. We’re bringing you down-to-earth, successful speakers who are doing what they love and passionate about inspiring you to do the same. Our speakers are from all walks of life and are as real and relatable as they come. You will hear stripped-back stories about how they went for their dreams and gain applicable knowledge on how you can do what you love too. 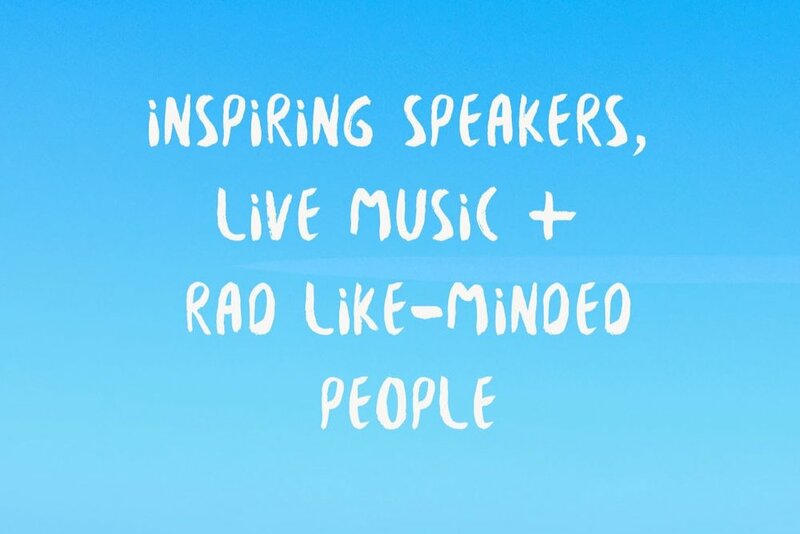 After the speakers, there will be live music and space for you to collaborate, meet rad people, share your ideas and have an epic time. You know that feeling you get when you’re traveling and because you feel removed from every day life, you gain perspective? Suddenly things that you thought weren’t possible now feel like they are. Stepping into #RadLivin is like going on an adventure for the day that gives you the tools and inspiration you need in order to say yes to the things you would love to do. The day will kick off with talks from our speakers. They will feel like mates who have come together to share with you anything you’d like to know about following your dream. It also wouldn’t be #RadLivin without feeling like you’re at a party. Following the speakers there will be live music that will get you on your feet and give you a chance to further connect and have an epic time. Rad people from around the world coming together to follow their dreams, while encouraging the person next to them do the same. We know that when you’re doing what you love, it’s much more fun to have like-minded people around you who have your back. Come and meet other inspired individuals who are ready to go against the grain and do what they love. We’re about forming genuine connections and having an epic time. Throughout the day there will be opportunities to connect, collaborate and celebrate this rad life. • Inspiration and actionable knowledge from unique speakers and industry leaders who are out there doing what they love, coming together to teach you how you can do the same. You must be 18+ to attend and IDs will be checked at entrance. Tickets are not refundable. However, you can do a name transfer.